So you all may have noticed the change in the weather. It's pretty much time for jumpers, scarfs, coats and boots. I usually hate Winter weather but this year I cannot wait for it to arrive! I love cosy evenings in with my onesie on, drinking hot chocolate and watching a Christmas film. In preparation for winter, and the topic for my first winter post, I've bought a winter coat. I always leave it till January to buy one, as that's my birthday and I have money. But by that time all the nice ones have gone. So this year, I've been prepared and by prepared I mean popping into H&M for a look and finding the most gorgeous coat! The most exciting thing about this jacket is that it looks like one I wanted from Zara last year, which was £110 and going on eBay for a very similar price after it sold out. 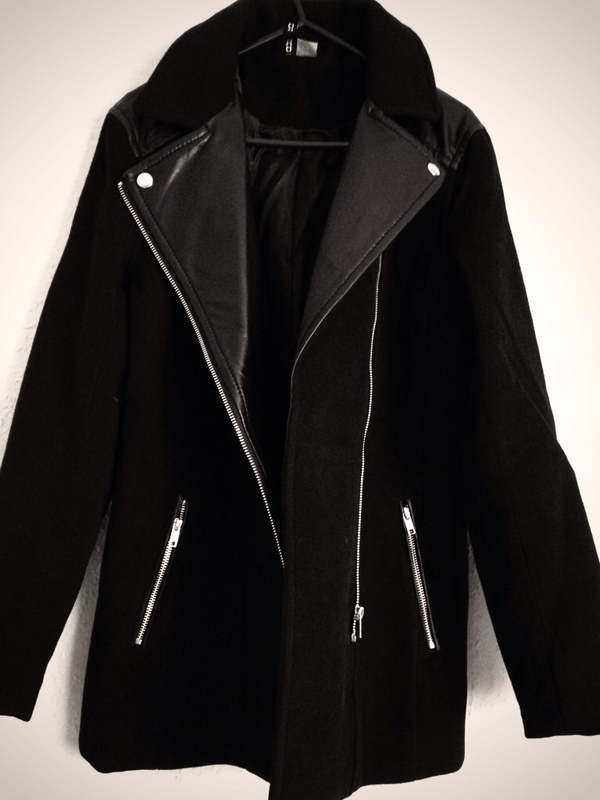 The year of holding off on buying the Zara jacket paid off and saved me a lot of money! If you're interested in buying the jacket, it's good for you to know that the sleeves are quite tight. I went a size up (size 12) but there is still a little bit of stiffness, although hopefully with wear it will loosen a tiny bit.